Also known as photocopiers, multifunction printing devices have evolved to be much more. 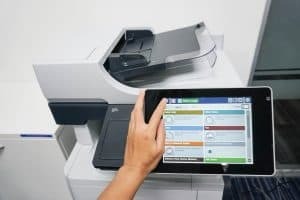 Capabilities now include copying, printing, scanning, filing, retrieval, emailing, inbound and outbound faxing, to name a few. Utilising our Savings Process, BLJ Australia provides multifunction printing device cost management services to a range of clients Australia wide. Using a well-rounded approach, we have seven different strategies to ensure your multifunction printing device needs are met. From excessive consumption, wrongly matched devices, inflated pricing and other areas in between, we highlight areas of change so costs can be reduced and redirected. As with every expense area, we complete thorough and in-depth analyses to get a full understanding of individual situations and how the market can best meet those needs. This then allows us to recommend and implement the most rewarding cost management plan. Find out how our cost planning expertise can help you save money on your multifunction printing device costs. 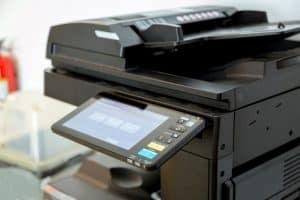 Why Engage BLJ Australia to Review Your Multifunction Printing Devices and Photocopiers? We see many clients who are feeling trapped by a particular brand and are caught by contracts that are not right for their business. At BLJ, we know this doesn’t have to be the case. Dealing with multifunction printing devices on a daily basis, we have in depth knowledge and can apply this to your needs. 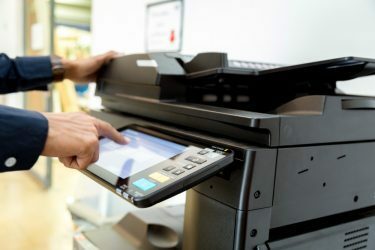 What Can You Save on Multifunction Printing Devices and Photocopiers? Our professionals gain a full understanding of your requirements, go to the market, negotiate with suppliers, and secure the most beneficial package for your business. With a wealth of experience and knowledge in supplier offers and options, we provide forecasts of expected costs over the contract term. What might look like the best offer upfront, may not be the most rewarding for the long term. Our evaluations help you lower your printing costs, structure the ideal method of device purchase for you, minimise excess and reduce the risks of cost blow out. These evaluations can be time consuming, and if you don’t have the expertise or market knowledge, you may find yourself guided by the evaluations and projections of suppliers. We bring clarity and insight to evaluations, preventing unnecessary costs to your business. With comprehensive evaluations, modelling and projections we help you make fully informed decisions to choose the most beneficial and rewarding offer. Once an offer is secured, we implement and conduct quarterly audits to review and maintain success. A key feature of our eight-step Savings Process is the minimal time investment by you. We complete a comprehensive review of your multifunction printing device contracts and supplier arrangements. Our cost reduction analysts then act on your behalf and hold conversations and negotiations to secure a more competitive deal on your multifunction printing device and printing costs. We then recommend a variety of alternative options and structures designed to reduce your overall internal printing and scanning costs. Impartial and experienced with expert advice, we offer a wealth of knowledge and understanding when selecting the most rewarding and competitive offer. Our professionals identify, monitor and implement cost management plans, and measure the ongoing success to show quantifiable benefits to your business. Evaluating all positive and negative variables when a capital investment is required for new devices, BLJ provides valuable and accurate forecast savings. Given the often significant capital expenditure being proposed by suppliers, it is critical that accurate and extensive evaluation, modelling and cost projections are conducted. As our fee is derived from the savings achieved and quantified to your satisfaction, your risk is negligible. Start saving on your multifunction printing device costs with a cost management plan from our professionals. Specialists in multifunction printing device and print cost management, BLJ Australia conducts thorough analyses to understand your requirements and develop a cost management plan to save you money. Our professionals benchmark your requirements and utilise this information to pinpoint areas where you could save money. Have our Savings Process work in your favour. Find out more about saving on multifunction printing device costs with BLJ Australia. Contact us today on (08) 9455 3600. Let our experienced cost management team help you reduce your cost and give you peace of mind.